This is a classic Belgian dark tripel. If you have tried Brouwerij Van Steenberge’s Gulden Draak, you know what I mean. Buccoleon Strong Ale is a tribute to that world-class beer. Brewed with Belgian Strong Ale yeast, it offers flavors of raisins, plums and pears, together with spicy hints of cloves, rum, and nutmeg. Starting with a Pilsner malt base; wheat malt, cara-wheat, crystal malt, biscuit/aroma malts and caramely golden syrup provide a flaky crust for this virtual fruit tart. The yeast leaves its distinctiver mark. As it is not a Gulden Draak clone, it is a bit drier and a little more bitter. Its original gravity of 24.5 Plato (1105) still leaves a lot of residual sweetness, so it is refermented in the bottle with Champagne yeast and no added bottling sugar. Age this one at least a year. 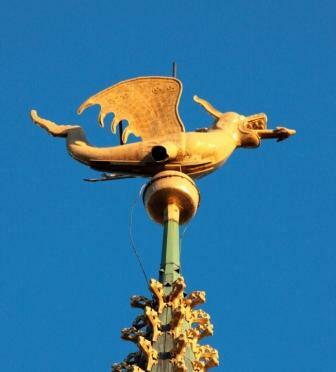 Gulden Draak is named after the golden dragon at the top of the belfry of Ghent. The story of how he got there is fascinating. Buccoleon was the dragon’s name. He lived in the swampy ground around Aleppo, one of the chief cities of the Saracens in northern Syria. He was such a tender-hearted old dragon that he was called The Weeping Dragon. He wept bucketfuls of tears when Belgian crusaders and the Saracens fell to fighting. Where his tears fell, beautiful flowers began to grow. A crusader took their bulbs back to Belgium, where they became famous for being the most beautiful tulips of all. Hearing about their fame, Buccoleon, whose scales had turned to gold because the crusaders had left, flew to Belgium to see for himself. He decided to stay! 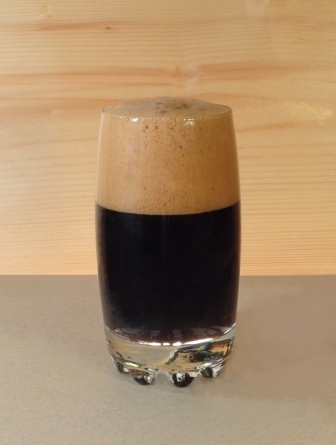 In the past, the term “stout” referred to a beer that was extra strong. Thus, we had Porter, and we had Stout Porter, which eventually became just Stout for short. Interestingly, what is now known as Stout is oftentimes rather low in alcoholic content while Porters tend to have an ABV of 5.5% to 6% or more. But historically, Stout was any beer that was as strong as the drinkers that were expected to consume it. To make this brown stout, start with the ingredients for cookies: wheat malt, oats, sultana raisins. Add to this Maris Otter base malt, crystal malt, a touch of caramel rye malt, and some Cara Munich. Mash at a fairly high temperature to encourage the production of unfermentable sugars that will keep the brew more sweet and full-bodied. Magnum and Amarillo hops are assertive without being overpowering. Add golden syrup at the end of the boil to contribute more caramel flavors. Ferment with a fruity yeast such as London Ale. Soak sultanas in dark rum until they are soft, then whirl the mixture in a blender. Add some to the primary fermenter, and another batch to the secondary, along with a hint of vanilla extract. The result is not so much a beer that tastes like oatmeal raisin cookies as it is an oatmeal raisin cookie that tastes like beer. The Cascade Mountain Range extends from Southern British Columbia through Western Washington and Oregon, into Northern California. Part of the Pacific Ocean’s “Ring of Fire” its highest peak is the volcano Mount Rainier. To its west are the hipster havens of Seattle and Portland, famous for some of the finest craft beer in the world. 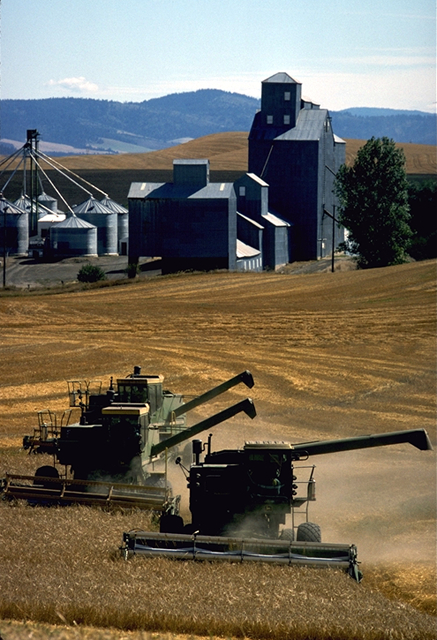 To its east lies the fertile hop growing region of the Yakima Valley in Washington. South of Portland, at the western edge of the Cascades, another stretch of fine hop farms fills the Willamette River valley. The Cascade Range and its surrounding hop and barley farms form the mythical country of Cascadia. A generous cartographer would include the barley-growing regions of the Columbia Basin, and the Palouse, stretching east and south from Spokane, Washington. It also makes sense to declare San Francisco an honorary member among Cascadia cities, for it is the birthplace of the modern craft beer movement in the United States, thanks to the visionary efforts of Fritz Maytag and his Anchor Brewing Company. The strains of hops developed in Cascadia, fittingly often begin with the letter “C” themselves. The “Four C’s” as they are sometimes called, are Cascade, Centennial, Chinook and Columbus. More recently Citra ™ has joined the group. They are dominantly bright, piney, citrusy and resinous in taste and aroma, and form the basis of most American India Pale Ales. 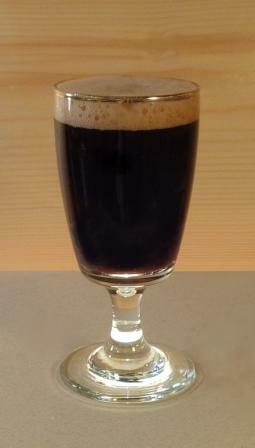 Recently, they have been incorporated into a style known as Cascadian Dark Ale. As hop and barley production began to ramp up in Cascadia during the 1980s, another development took place 180 degrees away in the Ring of Fire. Japanese brewers were early to recognize the potential for product differentiation offered by creating all-malt lagers in their commercial operations. Kirin and Sapporo led the way with premium “black beer” (黒ビール), featuring roasted malts and a sweet finish. 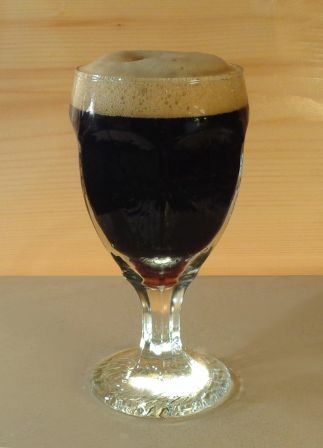 The Cascadia Black Lager shown here pays homage to both sides of the Ring of Fire. It is hoppy (40 IBU) like a Sierra Nevada Pale Ale, slightly roasty like a dark ale, with mildly sweet maltiness like Japanese black lager. It uses the San Francisco lager yeast to keep the finish drier than a typical ale. Cold-infused specialty grains, including debittered Carafa II, Munich malt and Breiss Special Roast maximize flavor while keeping away excessive burned harshness. A nice thick head leads to a moderately full mouth feel, and its 5.7% ABV is assertive, while keeping it well within the range of sessionability for the discerning and determined tippler! A cream ale for breakfast. Not meant to replace your double espresso, but rather to stand beside it, bracing you for the day to come. Cream ale emerged in the late 19th Century United States when ale breweries, faced with immigrant competition from Bavarian brewers bringing lager to the market, devised a light and refreshing, yet bold concoction that combined the crisp, dry flavor of a lager with the rapid fermentation characteristics of an ale. In many of these renditions, a substantial ABV approaching 5.5% was a feature. This cream ale uses 22 IBU of Comet hops, a variety that tastes and smells remarkably like pink grapefruit. Breakfast cereal included: organic corn grits, and steel-cut oats, along with some nice caramel notes from a variety of crystal malts. Starting gravity is 15 Plato, boosted by a late addition of rice syrup solids. 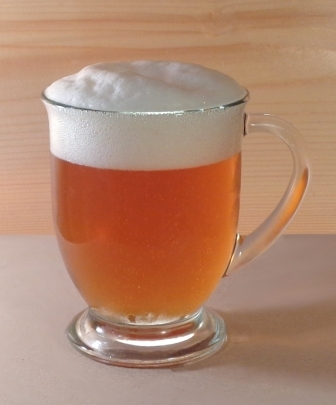 White Labs WLP080 Cream Ale yeast blend provides crisp yet round fermentation notes. Dry hopping with Comet offers grapefruit aroma. This is a fruity breakfast drink; cream of corn grits with fruit and oats, delivered with the full mouthfeel of an ultimate smoothie. In the years after the Civil War in the United States, nostrums and remedies began to appear for sale in the cities and towns throughout the South. One of these was invented by a war veteran who had been injured in battle, and subsequently found himself addicted to morphine, which he had been using to relieve his pain. Marketed as Pemberton’s French Wine Coca, it was touted as a cure for the blues, as well as for morphine addiction. The alcoholic version of the drink was reformulated in response to temperance legislation enacted in the area, and eventually became the world’s top-selling soft drink. This recipe for a drink that contains both coca leaf and kola nut extracts looks particularly pale when compared to commercial cola products. That is because the coloring agent in those versions is caramel. Commercial caramel color is created by heat-treating sugars such as glucose in the presence of acids, alkalies, or salts. It’s there pretty much only for the color. Leave it out and you get a pale golden drink colored, in this case, by the kola nut, coca leaf, and raw cane ingredients. Lime juice and six essential oils complete the formula. Depending on where you live, it’s not to late to get out in the woods and gather some elderberries. They make a nice wine of course, but they also make a tart and fruity beer. 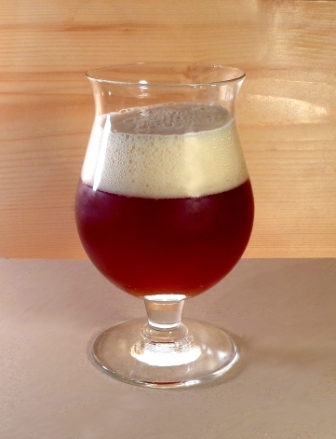 An elderberry braggot (beer and mead hybrid) is also a tasty possibility. The berries are the fruit of Sambucus species. In Europe, they come most commonly from the Dwarf Elder (Sambucus ebulus.) This tree was known as the Ebull in ancient times, the term taken from its Latin name. The beer made from elderberries is called Ebulum, and appears as a recipe in books from the early 1700s. The Oxford Dictionary defines ebulum as a name for elderberry wine, but London & Country Brew III (1743) says “make a white Ebulum with pale Malt and white Elder-berries.” This was possibly a barley wine. 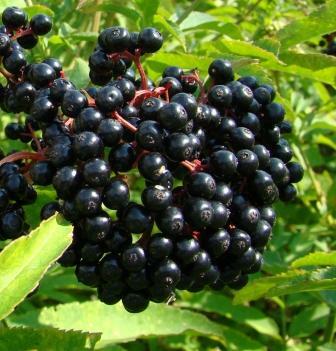 Elderberries have a long history of medicinal use, with a reputation for successfully treating colds and flu. For this purpose they are usually made into a syrup. The raw berries are somewhat toxic, and so they are cooked. Elderflowers also have medicinal and culinary uses, notably as a background flavoring for the cordial Sambuca. This Ebulum has a Chocolate Surprise. 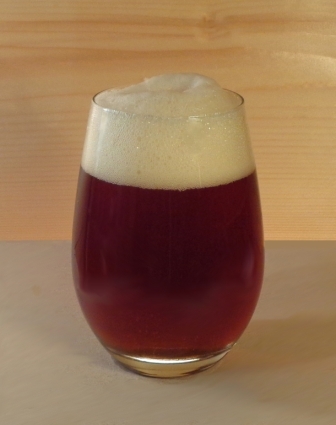 In addition to the pale malt (in this case Maris Otter) in traditional recipes, this one has chocolate malt, an English blend of crystal malts, and Dingeman’s debittered black malt. It is spiced with elderflowers, grains of paradise, and cinnamon, finished with Muscovado sugar at flameout. A touch of lactose added just before bottling creates a full mouthfeel and a bit of residual sweetness that balances the berries’ tartness. Stripping two kilos of elderberries from their elaborate stems is tedious work. Drinking the results after a year of aging is a delectable reward. Robust Porter is the best kind of porter. Who would want a pathetic porter? The freight porters of old were a strong bunch. This is a strong drink for them. To add to this porter’s robustness, the brewer uses the technique of “hop bursting.” Hop burst recipes call for adding to the wort only one large charge of the freshest possible hops with fifteen minutes left in the boil. 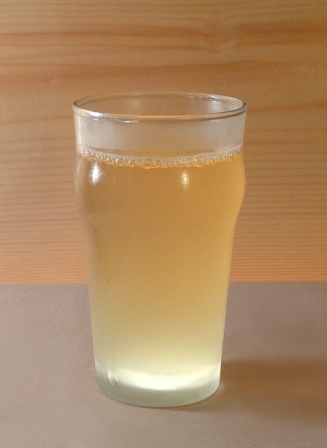 The result is considerable bitterness, but with a huge amount of flavor and aromatic oils retained in the brew. But this is more than just Hop Burst Robust Porter. It is Rum-Barrel Hop-Burst Robust Porter! Take toasted oak cubes and cover them with your favorite rum. Let it sit for two weeks, and then pour the tincture into the secondary fermenter. You are rewarded with a thick, rich, wildly complex beverage. After a long day down at the docks, this is going to be a big reward. This is seriously good Porter.